Last week I was part of a three member Cloudinary team that attended and exhibited at Web Summit 2015 in Dublin. Just in the last four years, the event has grown from a few hundred people to more than 42,000 people from 134 countries who attended this year. Attendees and speakers ranged from executives at some of the top names in the field and on the Fortune 500 list, to the world’s most exciting startup tech companies and VCs seeking their next success story. We were excited to see our friends at AWS and a number of our customers at the event, including Stylight, Homehapp, and PluralSight whose CPO also spoke about developing products to scale. We had good traffic at our booth. Many of our visitors were start-ups that are developing apps that include the ability to upload photos. Like many of our customers, these companies were struggling with how to manage the growing numbers of images and videos on their mobile apps, making their users’ experience flawless, and delivering the best quality images for virtually any kind of device. To say they were impressed with the capabilities we offer, and our solution’s ease of use, is an understatement. We also had the opportunity to attend a number of the educational sessions. One presentation by Akamai stood out, as it really detailed the problems our users face and the challenges we help them address. Akamai addressed its State of the Internet report, which outlines online connectivity, cyber-security trends and metrics from Akamai’s CDN, including Internet connection speeds, broadband adoption, mobile usage, outages, cyber attacks and threats. Much of what was discussed focused on the growth of mobile connections and how web pages are now much heavier than in the past because they feature more media – including high-resolution photos and high-definition videos – and today’s Internet isn’t setup to handle the vast amounts of bandwidth required by a growing base of users. For example, according to the 2015 State of the Union: Ecommerce Page Speed & Web Performance report by Radware, images typically comprise as much as 60 percent of a page’s total weight, making them fertile territory for optimization. Yet 43 percent of the top 100 retail sites fail to compress images, and only 10 percent received top marks for image compression. At Cloudinary we talk about the importance of optimizing graphics so that websites and apps load faster, because that directly impacts the conversion rates for ecommerce platforms. 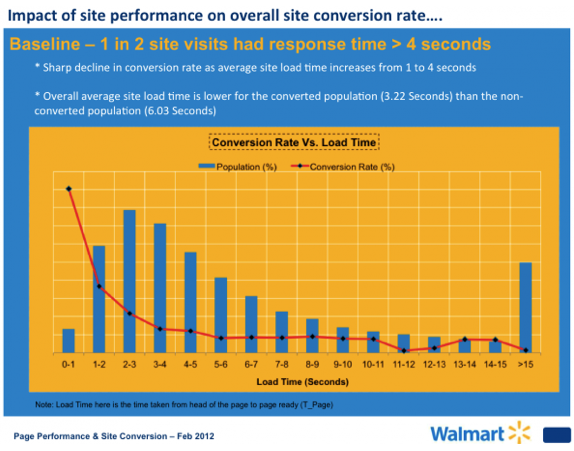 For example, Walmart experienced up to a 2 percent increase in conversion rates on its website for every second that its website loaded faster. Sites like Walmart’s are graphic-intensive, with photos of products, so optimizing these images to look better and load faster are paramount to increasing the company’s sales revenue. Walmart’s experience is exactly why website and app developers need solutions like those that Cloudinary offers. We make it easier for them to transform and optimize media for any device at the right resolution, which ultimately reduces the bandwidth requirements, improves the user experience and in turn can increase a company’s profitability.